Chris Mathieu holds the position in the Sociology of Work and Organisations at the Department of Sociology at Lund University. His primary research focus is on collaboration and career-making in creative work settings, selection processes, and cultural policy. He is the editor of Careers in Creative Industries (Routledge, 2012) and other recent work has been published by Palgrave, Routledge and Cambridge University Press. Chris is the coordinator of QuInnE (and thereby leads WP1 – Project Management) and is a principal investigator in the qualitative company study in Sweden (WP 6), as well as a contributing member of WP2 – Stakeholder Engagement; WP3 – Integrative Framework of Analysis, and WP4 Policy Analysis. Susanne Boethius is a sociologist and has a PhD from the Department of Sociology at Lund University. 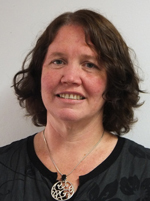 Susanne Boethius is the Project Manager of Quinne and is thereby involved in work package 1. 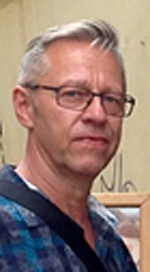 Roland Ahlstrand is Associate professor of sociology at the Faculty of Education and Society, Malmö University. His main field of expertise is industrial restructuring, industrial relations, work organisations, worker participation, teamwork, case studies and qualitative methods. He has led and participated in several research projects financed by different research funds and financiers (e.g. VINNOVA - Swedish Governmental Agency for Innovation Systems, the Swedish Council for Working Life and Social Research, the Swedish Work Environment Fund, the Central Government Social Partners' Council, Malmö City Council). During recent years, his research has focused on new ways of industrial restructuring, and companies’ division of employees in core permanent workforce and peripheral non-permanent. For instance, how processes of restructuring could result in extraordinary access to competence development and education, and a high degree of participation in improvement activities for permanent employees, but the opposite for people hired on short term contracts or via staffing companies (i.e. job quality for some but not for others). In the current project, his main role is to carry out (1) qualitative case study research in Swedish private and public sector organisations in order to understand the relationships between innovation, job quality, employment, social inclusion and inequalities at the firm-level, and (2) a study on the Swedish innovation, job quality and employment regime. Furthermore, he will also participate in stakeholder engagement and impact activities. 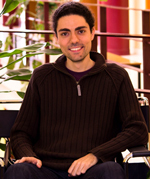 José-Ignacio Antón is Senior Postdoc Researcher at the Department of Economics of the Johannes Kepler University Linz (Austria). His areas of interest are Labour and Public Economics, fields on which he has published extensively in international journals like European Journal of Health Economics, Socio-Economic Review, International Migration Review or Fiscal Studies, among others. He participates in the quantitative part of the QuInnE as part of the team of the University of Salamanca (Spain). In this respect, his main role has to do with the analysis of the relationship between innovation and job quality in Spain using a panel of manufacturing firms. Christine Erhel is an associate professor in economics at University Paris 1 Panthéon-Sorbonne, and a member of the CES (Centre d’Economie de la Sorbonne). 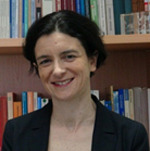 She is currently the director a research unit on public policies and employment (including European policies) at the CEE (Centre d’Etudes de l’Emploi, French Employment Research Centre, financed by the Ministry of Labour). She is doing research in labour economics, especially on European labour markets comparison, labour market policy reforms, and adjustments to the crisis. Over the last eight years, she has been leading several projects on job quality that have led to academic publications and policy reports (project TAXONOMY, DG Employment 2008). In Quinne she shares the responsibility of the quantitative work package with her French colleague Mathilde Guergoat-Larivière and Rafaël Munoz de Bustillo. 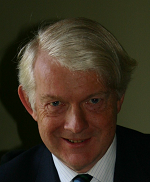 Duncan Gallie is a professor at the University of Oxford and Emeritus Fellow of Nuffield College Oxford. 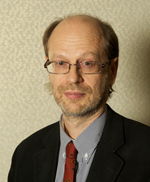 His research has focused on comparative European studies of the quality of employment and of unemployment. He has advised the French Ministry of Labour as a member of an expert group set up on psychosocial risks at work. He was a member of the EU Advisory Group on ‘Social Sciences and Humanities in the European Research Area’ for the Sixth Framework Programme. He served as Vice-President Social Sciences (2004-2006) and then as Foreign Secretary and Vice-President of the British Academy (2006-2011). 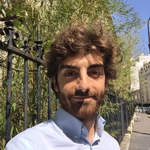 As part of the ’Quantitiive Analysis’ work package, he is responsible for contributing a working paper on changes in class, gender and age inequalities at work in European countries, using comparative European data sets on work quality. He will also have input into the preparation of the Employment protocol. Jérôme Gautié will co-coordinate (with Christine Erhel) the French team of the CEPREMAP, and will be in charge of the French field case studies. My research interests focus on labor sociology, demography, migration economics and Latin American studies. I´m Ph.D., in Social Science, Master in Latin-American Studies with mention in International Economics and B.A. Sociology(University of Salamanca, Spain). My role in the project focuses on the work packet of quantitative analysis. We work with data quality employment and innovation from the analysis of the European Union Labour Force Survey (LFS), European Survey on Working Conditions (ESWC), European Company Survey (ECS) and other surveys. 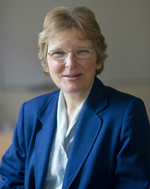 Anne Green is a Professorial Fellow at the Institute for Employment Research at the University of Warwick. A geographer by background, her research interests include spatial dimensions of economic and socio-demographic change, local and regional labour markets, local skills strategues, local economic development, social inclusion, migration and commuting. She undertakes contract research for government, research councils and charitable foundations and has acted in an advisory capacity for several UK Government departments and agencies (included as a member of the Lead Expert Group on ’The Future of Manufacturing’) and for the OECD LEED programme. Anne is a member of the QuInnE UK research team. She will be involved in Stakeholder Engagement (WP2), Policy Analysis (WP4) and Qualitative Research (WP6). Mathilde Guergoat-Larivière works as an Assistant Professor in Economics in the Conservatoire National des Arts et Métiers in Paris. She has worked on the issue of job quality from a European comparative perspective for eight years. Her research topics also include labour market transitions and gender equality. She has participated to various international projects over the last years (European Commission, OECD, World Bank). 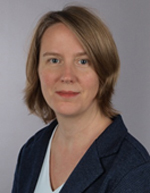 Mathilde will be co-leader, with Christine Erhel, of the quantitative workpackage of the project that analyses the links between job quality and innovation at the European level, using individual and firm-level data. 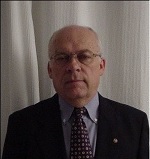 Tony Huzzard has a Ph.D. in business administration from Umeå University and is a professor in Organization Theory at the Department of Business Administration, Lund University. He has researched and published widely on organizational learning, change and development, industrial relations, and the sociology of work. He has been a visiting fellow at the Centre for Health Care Improvement, Chalmers University of Technology in Gothenburg since 2011. Tony will be working on Quinne’s work package 2 mapping out stakeholder engagement and assessing the impact of the project among practitioners, policy makers and the academic community. Miklós Illéssy is a Research Associate at the Institute of Sociology of the Hungarian Academy of Sciences. He got his degree in Social Policy at the Eötvös Loránd University in Budapest. As a research fellow he took part in several international research projects including activities financed under the EU 5th and 6th Framework Programme. His research activities focus on organisational innovation, labour relations and institutional comparative analysis. 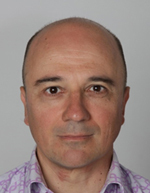 As a core member of the Hungarian research group he is involved in the elaboration of the integrative framework of the project (WP3), the policy analysis (WP4), the case studies (WP6) as well as in the stakeholder engagement and impact (WP2). Political scientist, senior researcher at the IAQ. Her main research interests include issues in the area of sociology of work and labour market policy, with a particular focus on the low-pay / low-skilled segments of the labour market. She has published extensively on public policies regarding job quality, on vulnerable groups on the labour market, and on employer strategies and industrial relations at the lower end of the pay scale. Karen’s main tasks include the coordination of the qualitative research in the project (WP 6), as well as carrying out the respective field work in Germany (with Angelika Kümmerling and Jessica Longen). Moreover, she is contributing to the Integrative Framework and Analysis (WP3), the stakeholder Engagement and Impact (WP2), and the analysis of innovation policy (WP4)). Maarten Keune is professor of Social Security and Labour Relation at the Law Department of the University of Amsterdam. He is also Co-Director of the Amsterdam Institute for Advanced Labour Studies (AIAS) of the University of Amsterdam. He started his career working for the International Labour Organisation between 1993 and 1999, first in Mexico City and later in Budapest. He then did his PhD in Political and Social Sciences at the European University Institute in Florence (Italy) after which he moved to Brussels to work as a Senior Researcher at the European Trade Union Institute. He works since 2009 at the University of Amsterdam. 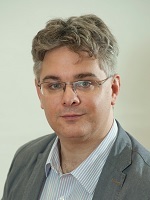 Maarten Keune has coordinated and participated in many international research projects, including a series of projects financed by the European Commission (FP7, Horizon 2020, DG Employment). His research interests include employment policy, labour markets, job quality, labour relations, social security and European Integration. He has widely published on these issues in academic journals and books. He also has a long experience in working with policy makers and stakeholders and providing them with analysis and advice. Dr Bas Koene has a PhD in the field of organization and HRM. He is principle investigator on QuInnE at the Erasmus Centre for HR Excellence and is director of the RSM Case Development Centre. He studies human agency and leadership in processes of institutional change and Organizational Development, and is especially interested in the changing organization of work and the management of non-standard employment. Recent projects focus on management & organization of flexible employment and temporary agency work, and on the role of the HR Department in processes of Organizational change and development. He has published in journals such as Leadership Quarterly, Human Resource Management Journal, Journal of Organizational Change Management, Personnel Review and Human Relations. Csaba Makó is specialized in organizational changes (innovations), in learning organizations and in their institutional contexts (e.g. labour relations system, educational and training system, national innovation system etc.) in an international perspective. He is a research chair at the Institute of Sociology at the Centre for Social Sciences of the Hungarian Academy of Sciences and is involved as co-ordinator of numerous national and international projects. In addition, he is a full time professor and Deputy Director of the PhD School of “Management and Business Organisation” at the Szent István University, Faculty of Economics and Social Sciences. He is an ‘ambassador’ for Hungary within the “European Workplace Innovation Network (EUWIN). He is also a member of the Hungarian Accreditation Committee for Social Sciences. Professor Makó is a key expert of innovation in the project and leading the Hungarian research group, a lead participant in Work Package 4 (policy analysis). 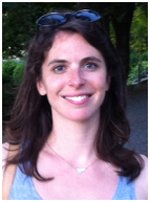 Coralie Perez is a labour economist and works as a researcher at the university Paris 1 Panthéon-Sorbonne. Her research interests include continuing training for employees, working conditions in the context of organizational changes, and industrial relations, using either quantitative or qualitative (or mixed-) methods. She has recently coordinated a study on labour adjustments by French companies during the economic crisis. Coralie Perez will be mainly involved on the qualitative work package for the French team of the CEPREMAP, being in charge of the French field case studies under the supervision of Jérôme Gautié. 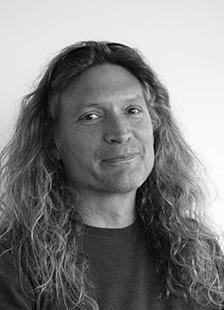 Frank Tros is researcher at the Amsterdam Institute for Advanced labour Studies (AIAS), Universiteit van Amsterdam. After his PhD at Utrecht University - about Decentralisation in the industrial relations system in the Netherland- he was post-doctoral researcher for NWO, the Netherlands Organisation for scientific research and published about the relationships between flexibility and security in European labour markets and about the policy concept of ‘flexicurity’. Frank has participated in many European research projects in the fields of social dialogue and collective bargaining on age related and intergenerational issues, wage inequality, productivity, sustainable work/employability etc. 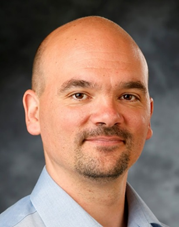 Frank Tros is involved in Policy Analysis and Qualitative Research in Quinne. 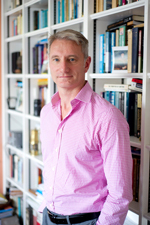 Chris is Professor and Director of the Institute for Employment Research at the University of Warwick in the UK. He is also a Trustee and Board Member of the Tavistock Institute in London and an Associate Research Fellow of SKOPE at the University of Oxford. He has published over 15 books, including: Are Bad Jobs Inevitable? (Palgrave, 2012) and Job Quality in Austria (Federation press, 2015). 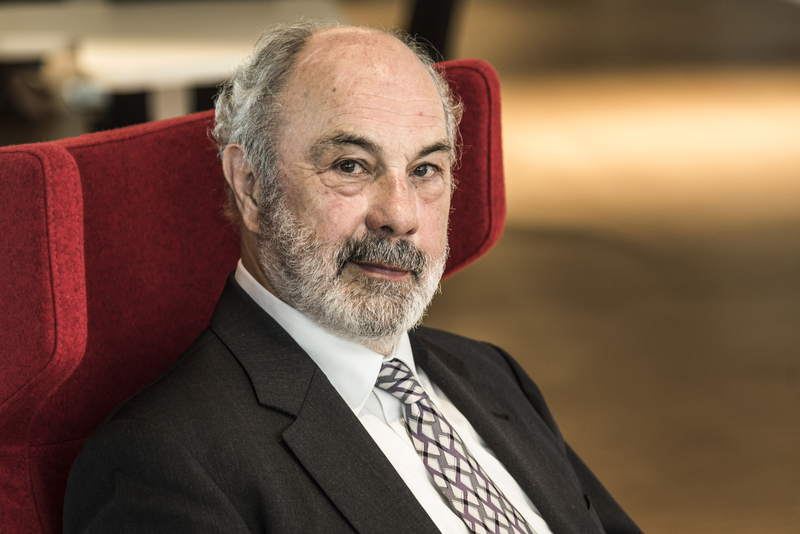 He has been an expert advisor to the UK, Scottish and Australian Governments and International Expert Adviser to the OECD's LEED (Local Economic and Employment Development) programme. 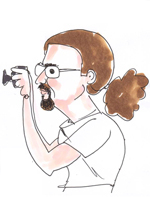 Chris is Work Package Leader for WP3 – Integrative Framework of Analysis, and contributes to WP2 – Stakeholder Engagement, WP4 – Policy Analysis and WP 6 – Qualitative Research. 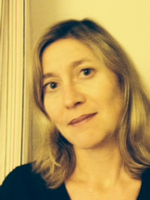 Sally Wright is a Senior Research Fellow at the Institute for Employment Research at the University of Warwick. Her current research interests include job quality, minimum wages and the low-paid, workplace restructuring, gender pay equity and work-life balance. Sally is also doing a PhD on job quality in Australia. 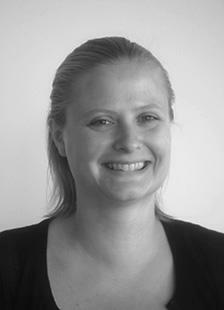 Sally is a member of the QuInnE UK research team. She will be involved in Stakeholder Engagement (WP2), Policy Analysis (WP4) and Qualitative Research (WP6). Frank Pot (sociologist) is professor emeritus of Social Innovation of Work and Employment, Radboud University Nijmegen, the Netherlands. 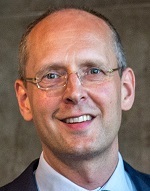 Currently he is Chair of the Advisory Board of the ‘European Workplace Innovation Network (EUWIN)’ of DG Growth (2013 – 2017), member of the Scientific Advisory Board of SI DRIVE (Social Innovation Driver for Change, 2014 - 2018) and participant in the EU-OSHA project ‘Foresight of new and emerging occupational safety and health risks associated with information and communications technologies and work locations by 2025’ (2015 – 2017). He is publishing scientific and policy articles and being invited as an expert by trade unions, employers’ associations, government and EU-bodies. At the Netherlands Organization of Applied Scientific Research (TNO) he was director of research at TNO Quality of Life (2005 – 2007) and director of TNO Work and Employment (1996 - 2005). From 1991 – 1999 he was part-time professor of Work and Technology at the University of Leiden. I was born in 1958. Currently, I am Chief Adviser at the Finnish Funding Agency for Innovation (Tekes) and Adjunct Professor in sociology at the University of Helsinki. My special areas of interest are workplace innovation, the quality of working life, innovation, productivity and employment relations. Sandrine Cazes is a Senior Economist at the OECD. Prior to that she was the Head of the Employment Analysis and Research unit at the International Labour Organization in Geneva where she was responsible for research, comparative analysis and policy advises in the areas of labour market developments and performances for both OECD and emerging economies. She was the labour market advisor and lead economist of the ILO sub regional office for Central and Eastern Europe, in Budapest during the EU enlargement process. Before joining the ILO, she worked at the French Economic Observatory –Sciences Po, in Paris. Her main topics of interests include the analysis of labour market policies and institutions, the role of regulations and institutions for labour market adjustment and performances, measuring and assessing job quality, employment protection and job security. She has authored several publications – books, research papers, policy advisory reports – in the fields of labour economics, flexicurity, employment stability and labour market segmentation. 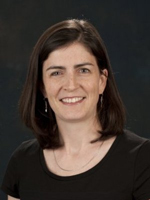 Rachel E. Dwyer is Associate Professor of Sociology at Ohio State University. She has published widely on rising economic inequality and the declining fortunes of the middle class in the United States, reflected in part in growing job polarization. Her research on social inequality has appeared in top academic outlets including the American Sociological Review, Social Forces, Gender & Society, The Sociological Quarterly, and Social Problems. Her work has been supported by the National Science Foundation, by a grant from the Eunice Kennedy Shriver National Institute of Child Health & Human Development awarded to the Ohio State University Institute for Population Research, and by the National Endowment for Financial Education. Economist at the OECD in the Directorate for Employment, Labour and Social Affairs. He has previously worked at the University of Oxford and collaborated with different Institutions, including the World Bank and the International Monetary Fund. His research interests are in the field of Applied Micro, Labour and Behavioural Economics. He holds a PhD from the University of Oxford. 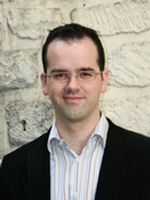 Enrique Fernández‐Macías is a Research Manager in Eurofound, Dublin. He has a PhD in Economic Sociology by the University of Salamanca, and his main research interests are job quality, occupational change and the division of labor. Some of his recent publications are “The Transformation of the Employment Structure in the EU and USA” (Palgrave), “Measuring more than Money: the Social Economics of Job Quality” (Elgar), “Job Polarization in Europe? Changes in the Employment Structure and Job Quality, 1995‐2007” (Work and Occupations) and “E pluribus unum? A critical survey of job quality indicators” (Socio‐Economic Review). Alexander Hijzen is a senior economist at the Directorate for Employment, Labour and Social Affairs of the Organisation for Economic Co-Operation and Development (OECD) and a regular contributor to the OECD Employment Outlook. He has worked on a variety of topics, including globalisation and labour markets, the labour market impact of the crisis, social protection in emerging economies and, more recently, job quality. I am a research manager in the Employment and Change unit at Eurofound (Dublin). My research interests lie in the fields of job quality, changes in the employment structure and comparative labour market analysis. Bengt-Åke Lundvall is member of the advisory board of the projectis professor in economics at Department of Business and Management at Aalborg University. His research is organized around a broad set of issues related to innovation systems, and learning economies. 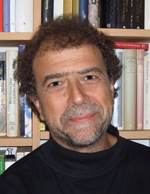 Since 2002 he is Secretary General for the worldwide research network Globelics. In close collaboration with Christopher Freeman, Bengt-Åke Lundvall developed the idea of innovation as an interactive process, in the first half of the eighties and the concept national system of innovation in the second half. 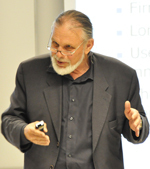 In the beginning of the nineties he developed the idea of ‘the learning economy’ in collaboration with Björn Johnson.Since 1988, he has published more than 200 publications as books, journal articles, and book chapters (see www.vbn.aau.dk). His two most cited works are: Lundvall, B.-Å., (ed.) (2010), National Systems of Innovation: Towards a Theory of Innovation and Interactive Learning. London, Anthem. Lundvall, B.-Å. and Johnson, B. (1994), 'The Learning Economy', Journal of Industry Studies, Vol. 1, No. 2, pp. 23-42. 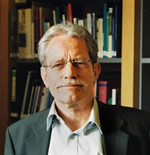 Günther Schmid was Professor of Political Economy at the Free University Berlin, and he is still Emeritus Director at the Social Science Research Centre Berlin (WZB) specialised in issues of labour market policy and employment. His two main publications are the International Handbook for Labour Market Policy and Evaluation (Edward Elgar 1996) and Full Employment in Europe: Managing Labour Market Transitions and Risks (Edward Elgar 2008). He served also as a member of various national and international advisory committees, in particular the committee preparing the German labour market reforms under chancellor Schröder, and received honorary doctorates at the University Aalborg (Denmark) and Linnaeus (Sweden). He considers his role in the International Advisory Board of QuInnE as a curious and critical companion who is basically interested into the relationship of job quality, innovation and employment. Ben Egan is an advisor at the European Trade Union Confederation working on employment and labour market policy. This work includes providing co-ordination in the ongoing work of defining and promoting quality work across Europe. He was previously (2013-2016) a Marie Curie Early Stage Researcher on the project Changing Employment and has a background in trade union organising in the UK public sector.